Today I bring to you the gorgeous work of fellow Artist and Etsy seller June Shin. My goodness, what beauty filled stunning work this lady creates and she is super witty too. I must admit, there is something in the combination of high art and wit that completely captivates me. June lives and works in Georgia and is a great example of Artist as Brand™. Why? Because while working in the high tech world of computer consultation in New York City, June courageously followed her creative muse. Too feed the hunger of her inner muse June took courses at The Fashion Institute of Technology (FIT). After moving to Atlanta, she taught herself how to create jewelry using semi-precious stones and metal wire and soon after, launched her jewelry company. The image opening this blog post is of her Icarus earrings. These beauties illuminate her fine craftsmanship, style and aesthetic. Combining vintage materials with a modern sensibility, June’s jewelry tends to be dainty and delicate, intent on catching the light and always lifting the spirits of the wearer. Besides her shop on Etsy June also has a strong online presence with a website and a blog. It was her blog where I first came across her. June also conducts fabulous giveaways with Etsy artists. The charm with which she conducts her interviews was what first captivated me when I first arrived at her blog. Seeing other people's creations, whether it be a painting, architecture, a beautiful flower arrangement, photography, a dance, etc. I'm a very visual person and am always amazed at people's imaginations. Peace and happiness, and a self-sustaining village. I used to be a poker dealer, but don't really know how to play strategically. June, it's a pleasure and honor to have you here, thank you so much for sharing a bit about yourself with me and the readers here. I'd like to live in that self sustaining village with you. For this giveaway, June is offering the winner a choice of any item from her Etsy shop priced at $25 or less. Lucky, lucky!! Begin by visiting the June Shin shop on Etsy and sharing in your comment what item you most crave from her shop. You must include your first name -or- etsy username AND email address with each entry or it will not be included. The giveaway ends Moon day, November 16th at 10 pm PST with the winner announced shortly there after. Please help us get the word out. Anyone who posts comments after 10pm on November 16th will not be entered in the draw. This is one giveaway I myself would like to enter! Good luck! Beautiful shop! June has almost too many lovely pieces to choose from. I ADORE the Green Hibiscus Silver Hoop Earrings. ps: I am also a former poker dealer! I like the linked hearts necklace, so pretty, and I love sterling silver jewelry! Pretty shop! She has some gorgeous earrings, makes me wish I had pierced ears! I love the Aquarius necklace! Which is perfect for me!! Roxana, thank you for hosting another giveaway and sharing June with us. Her pieces are clean and elegant. It was hard to choose a favorite, but I think the Long Moondrop Earrings won my heart. I also love the Unlock My Heart Lariat and the Pink Twisted Drops. And the Lock and Key earrings are fun. Everything is beautiful. I checked out June's blog and will follow it, so please enter me again. Do I have to choose just one peice? I lust for so many of them!! Had to add her to my Etsy favs. The one I LUST for is the silver perfume locket or the accented silver swirl leaf necklace. what an awesome giveaway, she as so many amazing items in her etsy shop! 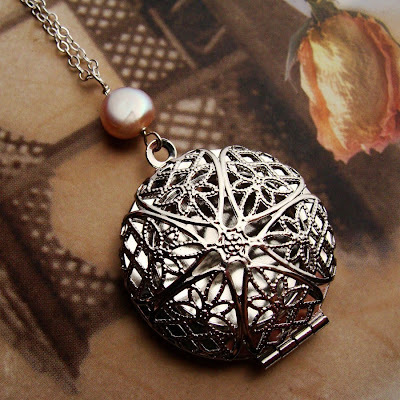 One of my faves is the Dainty Keepsake Locket Necklace - Orange...love it! Beautiful work! I'm admiring the Madeleine / Peach Moonstone necklace, because moonstone is one of my birthstones but I don't actually own any jewelry with this stone. i love the Adorned Vintage Key Necklace! The moonlight flight earrings are my favorite! I love the Carved Pink Rose earrings. Cute! 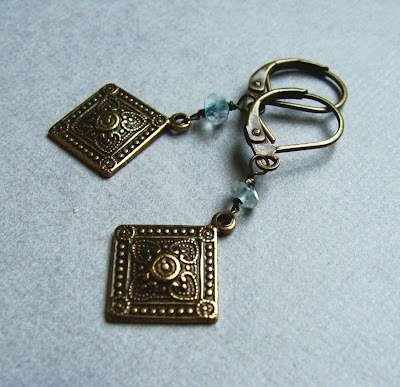 Love the Long Bronze w/ turquoise earrings!! I just love the Accented Silver Swirl Leaf Necklace! I love the Silver Swirl Earrings! I love the Little Yellow Flower Adjustable Ring. It's so gorgeous! I'm already her follower !! I love Heart and Flowers Locket Necklace! It's fabulous! From all those gorgeous earrings I'm loving the most the Silver Swirl Earrings. I love the Heart and Flowers Locket Necklace. I love June's Jewelry! I really like the Rock n Roll Tourmalinated Quartz black Spinel Earrings. I think black jewelry is very elegant. Thank you for this nice giveaway. I already follow June Shin via Google Friends. I am a Facebook Fan of June Shin. My most coveted item in her shop is probably the Aqua Nouveau Necklace, the color is so pretty. I love the Luxe Green Amethyst Hoop earrings! Wonderful eye candy! My fav is :Little Rhinestone Locket Earrings!Thanks for this great giveaway! loving the pear halo and birdhouse necklaces! great pieces! thanks so much for the opportunity! I LOVE the Amethyst Droplet Necklace. Very pretty!! I like the pretty Tree of Life necklace - Gold. I like the Large Flower Bar Necklace. The pearls are to die for! I really like the simplicity of the Long Moon Drop earrings. my Etsy username is secretcake. I love Luxe Green Amethyst Hoop earrings ! I love the sterling heart locket. I really like the butterfly ring. My daughter would go nuts over it!!! I also follow June Shin's blog through friend connect! hi again! im already a follower of the JuneShinDesigns blog, as well as your blog! im so craving the Moonlight Flight Earrings.. stunning! <3 my name is Nina van den Berg, and my email address is pixie.027@gmail.com ... thanks so much! hi! =) i already follower JuneShinDesigns on Twitter, and i also follow you =D i really love the Moonlight Flight Earrings.. so beautiful! <3 my name is Nina van den Berg, and my email address is pixie.027@gmail.com ... thank you! heya! im already a fan of both you and JuneShinDesigns on Facebook =) the Moonlight Flight Earrings are amazing!! they really are my favourite <3 my name is Nina van den Berg, and my email address is pixie.027@gmail.com ... thanks! hi there! iv been tweeting the message about the giveaway - my twitter page is http://twitter.com/luna_pixie. my favourite item is the Moonlight Flight Earrings.. they're perfect! <3 my name is Nina van den Berg, and my email address is pixie.027@gmail.com ... thanks for the amazing giveaway! Beautiful work. I love the blue hibiscus silver hoop earrings. Love the necklace called tree of life. . .and also the little rhinestone earrings. . .
my favourite item is the butterfly ring!! I love the Sterling Heart Locket, but there are so many beautiful things! I like Aquarius Zodiac Necklace in Gunmetal. I am now a follower of JuneShinDesigns blog! I absolutely adore the Gift Wrap Earrings in Gold with Carnelian. I follow June Shin via Google Friend Connect. I'm a Facebook fan of June Shin (under my name, Piroska). My favorite is the Sway Necklace,it's lovely, and I've had to learn how to sway. I follow June Shin's blog! I am a fan of June Shin on facebook! I love the Luxe Garnet Hoop Earrings! Gorgeous! I love the Madeleine - Peach Moonstone Necklace. 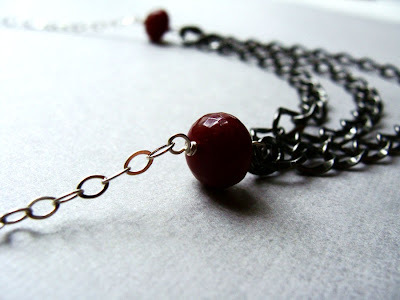 Following June Shin Designs blog. I love the Dainty Keepsake Locket and the Sterling silver locket! I like it all! 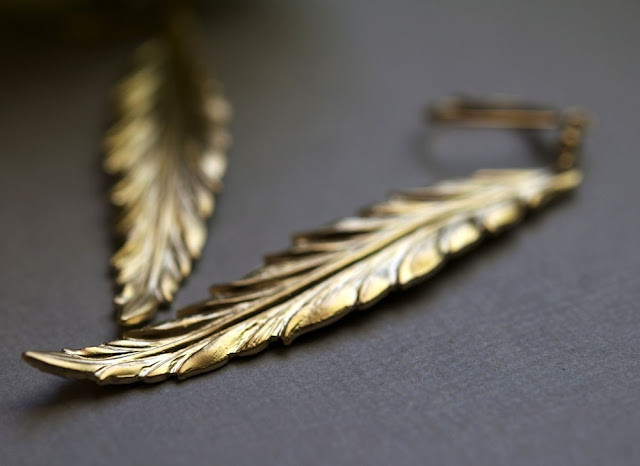 But I just love the leafy filigree earrings. I became a fan of june shin on facebook. I love the Aquarius necklace. i follow June Shin blog! I love the large Flower bar necklace in gold. I love the "I love spinning necklace"... it will probably be my Christmas present to myself this year. Beautiful. there are SO many beautiful things in this store! LOVE the earrings! I like the Silver Hibiscus Earrings. I love the Silver Swirl Earrings! I can never have too much simple silver. Thanks! I am following June Shin's blog. I am following June Shin on Twitter. I crave the Tree of Life necklace - Silver as i love this tree. I think her Butterfly Migration Necklace is just too cute! Love it.